Imagine the King Of Kings on his wonderful white horse riding ahead of his army. We are there proudly following our King to victory. In the distance you see a dust cloud, a rider has broken ranks and is tearing towards Jesus. 'Who or what is that? ', you are thinking. Do not be concerned it is only me (Tony) because I have to get close enough to read the name that is written on Jesus that no one knows but he himself! I have to know everything that there is to know about my Lord, my curiosity drives me to want to know more. 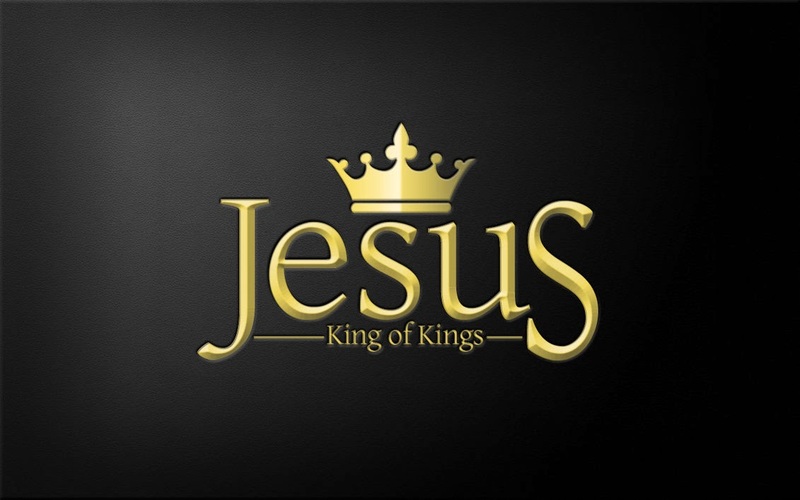 I know he is called the King of Kings and the Lord of Lords and where he rules there is blessing. He wants to rule our lives and hearts as we submit to his lordship. True freedom is only found in his lordship over our lives. God can turn situations around in a heartbeat, he has all power and authority. Submit your life to Jesus. I know his name is the Word of God and that he wants to make himself known in a greater, deeper way to us. If you want to know him, read the Bible, it's all about him. Jesus will meet you on the page and meeting him will change you. In the last two chapters of Ezekiel we have all sorts of building instructions that I have often wondered if I really needed to know but there is always a litle gem to learn from. The people were instructed that if they came into the temple by the north gate they were to leave by the south and if they came in by the south gate they were to leave by the north. Why? Because when we come into God's presence we will be changed and go out different. If we come in and go out the same we haven't met with God. John, exiled on Patmos, a prisoner and yet free to soar in vision in the Holy Spirit. He had always been close to Jesus, alongside Peter and James and referred to himself as the disciple 'whom Jesus loved'. When Jesus spoke the voice came from behind him, he had to turn to to respond to what Jesus was saying. Every time the word of God comes to us we have to turn our lives around, it means change. I also know that Jesus is called Faithful and True. That's who you want on your side when things get tough, a faithful and true friend but with the power and authority of the King of Kings! Trials and tribulations are all part of the process of getting to know God better. As we take him at his word, believe he is faithful and has the power to work in our lives, Christ reveals himself to us in ever increasing measure. I want to know him better, what about you?